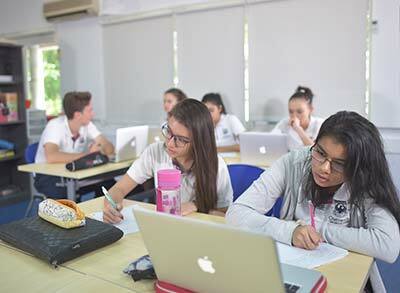 The IB Diploma Programme (IBDP) offers a broad and rigorous international curriculum and is the basis of study for the final two years at Chatsworth. The programme is designed to prepare students for further education at the tertiary level, but is also a very valuable qualification in its own right. In addition to the IB Diploma Programme, high school students will be awarded with the WASC accredited Chatsworth High School Diploma, subject to satisfying the credit and other requirements. 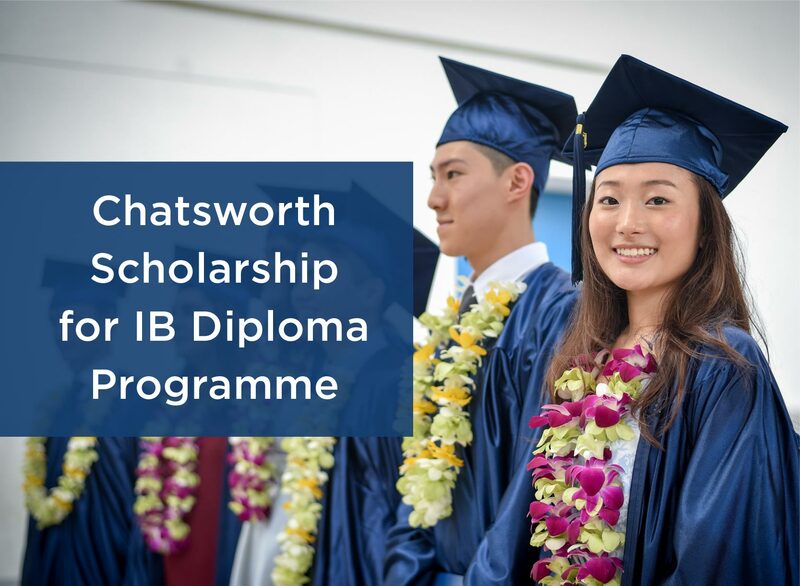 Chatsworth offers a number of full High School Scholarships to students entering Year 12 (Grade 11) in the International Baccalaureate Diploma Programme (IBDP) at the start of each new academic year. The scholarship is open to internal and external candidates and awarded on merit basis. All courses are offered at Higher Level (HL) and Standard Level (SL) unless otherwise indicated. Core components (Theory of Knowledge, Creative Action and Service and Extended Essay) are also required for Diploma students. The IB programme has made me realise my strengths and weaknesses that made me grow as an individual, nonetheless, the teachers who taught us also had an influential role in that area. I would like to thank my teachers for always being patient and understanding for every time I did not understand a certain topic and for pushing me to my fullest potential. This programme is primarily a pre-university course in literature. It is aimed at students who intend to pursue literature, or related studies, at university, as well as at students whose formal study of literature will not continue beyond this level. The former would normally follow the Higher Level (HL) programme and the latter the Standard Level (SL). Students must have native or near native fluency in the target language. The Language B course is for students with some previous experience (ideally between three and five years) of learning the target language. The main focus of these courses is on language acquisition and the development of skills considerably beyond those expected of an ab initio candidate, up to a fairly sophisticated degree at higher level. The Language ab initio courses are language learning courses for beginners, designed to be followed over two years by students who have no or very little previous experience of learning the target language. The main focus of the courses is on the acquisition of language required for purposes and situations usual in everyday social interaction. Language ab initio courses are only available at Standard Level. The Economics course requires no specific prior study in economics. No particular background in terms of specific subjects studied for national or international qualifications is expected or required. Although the specific skills of the economics course are developed within the context of the course itself, students are expected to have a strong background in math. The ability to understand and explain abstract concepts and the ability to write in a logically structured manner are distinct advantages in Economics. The Geography course requires no specific prior learning in Geography. No particular background in terms of specific subjects studied for national or international qualifications is expected or required. The skills needed for the Geography course are developed within the context of the course itself. Some previous exposure to the specific Group 4 subject would be necessary. Specific topic details are not specified, but students who have undertaken the IB Middle Years Programme (MYP) or studied an IGCSE science subject would be well prepared. Other national science qualifications or a school-based science course would also be suitable preparation for study of a Group 4 subject at Higher Level (HL). This course caters for students with an outstanding background in mathematics who are competent in a range of analytical and technical skills. 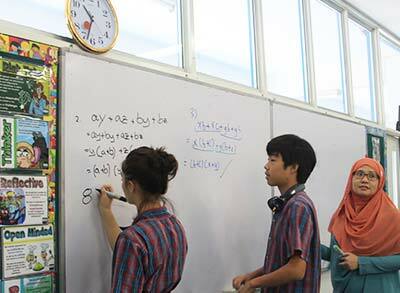 Typically, students will have studied Extended Mathematics in the MYP and attained a grade or at least 6 or scored A or A* in IGCSE Mathematics or equivalent. The majority of these students will be expecting to include mathematics as a major component of their university studies, either as a subject in its own right or within courses such as physics, engineering and technology. Others may take this subject because they have a strong interest in mathematics and enjoy meeting its challenges and engaging with its problems. This course is available at standard level (SL) only. It caters for students with varied backgrounds and abilities. More specifically, it is designed to build confidence and encourage an appreciation of mathematics in students who do not anticipate a need for mathematics in their future studies. Students taking this course need to be already equipped with fundamental skills and a rudimentary knowledge of basic processes. The Diploma Programme Visual Arts course is designed to offer students the opportunity to build on prior experience while encouraging them to develop and use new skills, techniques and ideas. While it is possible to take the Diploma Programme visual arts course without previous experience, this is helpful, particularly at HL. This is a very personally rewarding and time consuming subject. Assessment is based on a portfolio. Entry requirements are based on the presentation of an art portfolio, which gives some insight into your potential, originality and motivation. The Theatre course at both HL and SL requires no previous experience in drama or theatre. Since the course is designed to enable students to experience theatre on a personal level, achievement in this subject is reflected in how students develop, extend and refine the knowledge, skills and attitudes necessary for studying this art form. Students’ individual ability to be creative and imaginative, and to communicate in dramatic form, will be challenged and extended through the theoretical and practical content of the course. Creativity, activity, service (CAS) is at the heart of the DP. With its holistic approach, CAS is designed to strengthen and extend students’ personal and interpersonal learning from the Primary Years Programme (PYP) and Middle Years Programme (MYP). CAS is organized around the three strands of creativity, activity and service defined as follows. 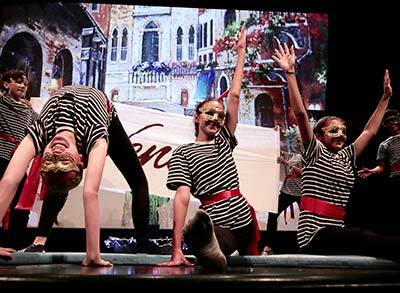 • Creativity—exploring and extending ideas leading to an original or interpretive product or performance. • Activity—physical exertion contributing to a healthy lifestyle. • Service—collaborative and reciprocal engagement with the community in response to an authentic need. The extended essay is a compulsory, externally assessed piece of independent research into a topic chosen by the student and presented as a formal piece of academic writing. The extended essay is intended to promote high-level research and writing skills, intellectual discovery and creativity while engaging students in personal research. This leads to a major piece of formally presented, structured writing of up to 4,000 words in which ideas and findings are communicated in a reasoned, coherent and appropriate manner. Theory of knowledge (TOK) is a course about critical thinking and inquiring into the process of knowing, rather than about learning a specific body of knowledge. It plays a special role in the DP by providing an opportunity for students to reflect on the nature of knowledge, to make connections between areas of knowledge and to become aware of their own perspectives and those of the various groups whose knowledge they share. Note: Subjects offered are subject to sufficient student demand. Chatsworth reserves the right to amend subject offerings at any time. For the IBDP General Regulations as outlined by the IBO, click here. 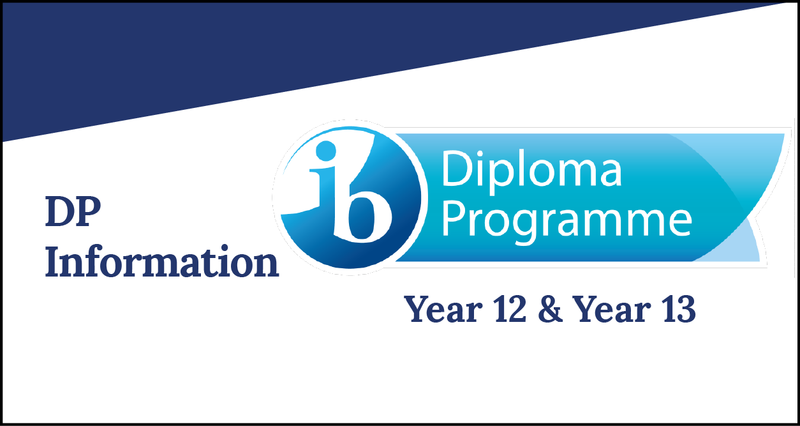 Visit IBO Website for more information on the IB Diploma Programme.